How can I change the default recipient? Set a default email address as recipient for your MAP/DAT file in JuanTax. 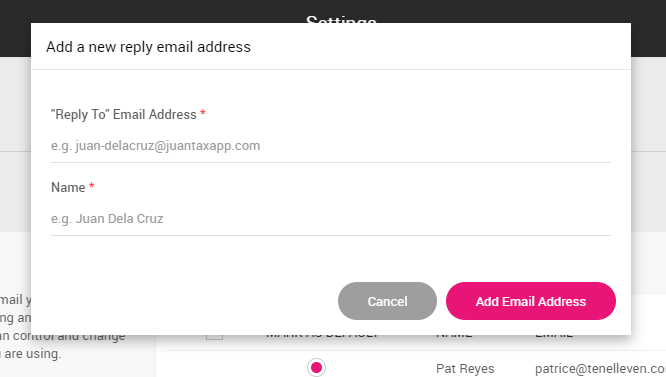 Assigning a default recipient email in JuanTax is very easy! Just go to the Settings slider in your dashboard and proceed to Email Settings. Choose the radio button of the email address that you want to act as the recipient for files such as MAP/DAT file and that’s it! Note: You can only choose your recipient address once he/she had accepted the invite that will be sent via email.